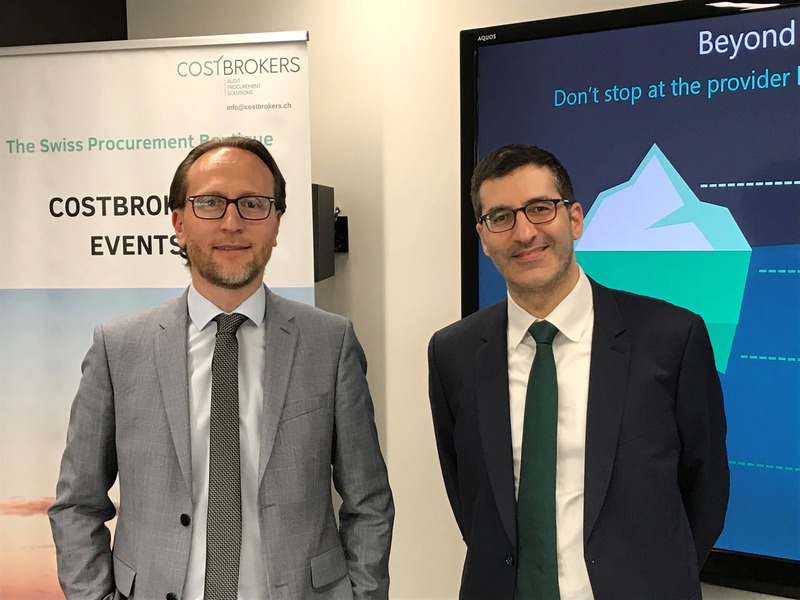 The Swiss consulting firm Costbrokers SA organised on June 8th, 2018 a conference in the Fédération des Entreprises Romandes (“FER”) in Geneva-Switzerland to present existing solutions and services around Procurement Digitalisation and Procurement Blockchain. Thank you to all the clients, prospects and consultants who joined us for debating, sharing their experiences and networking across the Procurement community. We are proud to host those workshops to serve the Procurement community in Switzerland. At the end of the day, we did progress together within these fields of recent technologies and their applications. When we prepared the agenda of the day with Michael Salama, CEO – Costbrokers SA, we included a specific time to lead the audience to some fundamental points/reflexion related to Procurement Digitalisation. Indeed, this event was also the perfect opportunity to bring awareness in terms of Procurement Digitalisation and Change Management. Procurement Digitalisation cannot be seen only from a software/tool perspective. Procurement Digitalisation will come along with some organisational changes at minima. To illustrate a bit further on this point, I would like to highlight shortly a KPMG statement that sounds like a legitimate wake-up call: “Will Procurement exist at all in 20 years … if procurement tasks will be performed by algorithms and networked machines? … If Procurement is to survive in this disruptive environment, it must be quickly and extensively reinvented.” (Source: Future-Proof Procurement April, 2016. KPMG / Florida State University). Indeed, there are many articles on the web about digitalisation replacing gradually Procurement functions and tasks – fair point to consider seriously. Then, what do we do now in 2018? However, to avoid the worst-case scenario for Procurement practitioners, their leadership and business mindset will enable digitalisation projects to be a source of performance instead of being an eventual threat. Considering that Procurement has (i) often a central / pivotal position within Organisations and (ii) many valuable cards in its hands like: market intelligence, due diligence, contracts, SRM, outsourcing, governance, payments, … then, Procurement leaders have enough credit to own digitalisation projects and related change management across the entire value chain of their organisation. In fact, the Procurement community has the capability to leverage its expertise and leadership far beyond cost savings targets but to work instead towards business performances and innovation. Same again, Procurement must go far beyond functional projects by leading, with IT innovation, company digital changes instead. This is not an opportunistic reaction to a new challenge. Procurement won’t replace CEOs. However, this is the right moment to ponder Procurement roles, responsibilities and leadership to grab digitalisation fully (company-wide) and not partially (procurement functional level only). By acting as such, Procurement and Digitalisation will be in good terms for the sake of companies’ overall performances and compliance. Thanks again for your active participation and open dialog we had at this event.